Roger Federer, with his 20 Grand Slam titles, is arguably the greatest tennis player of all-time. Michael Jordan, with his six NBA championships, is arguably the greatest basketball player of all-time. So the comparison between the two is inescapable. 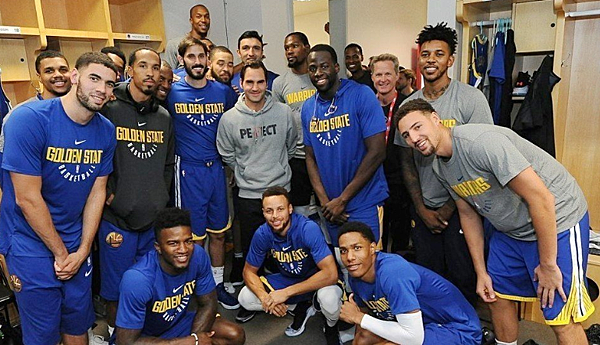 But Warriors head coach Steve Kerr likens Federer to another player he has coached. 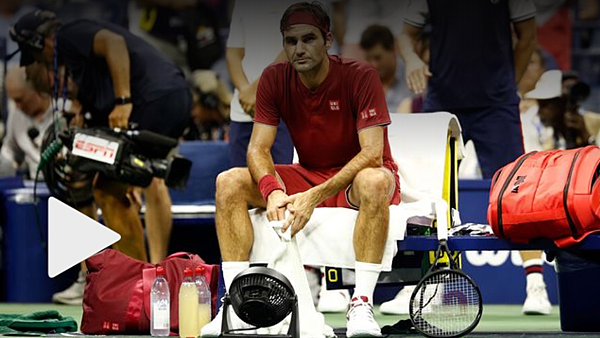 During Monday night's US Open Round of 16 match between No. 2 seed Federer and unseeded Australian John Millman, analyst Brad Gilbert found Kerr in the stands at Arthur Ashe Stadium. Gilbert tried to get Kerr to compare Federer and Jordan, but Kerr had other ideas. Brad Gilbert: We're sitting in Box 23. Do you see any similarities between Roger Federer and Michael Jordan? Steve Kerr: Well, yeah, the greatest ever, for sure. SK: I don't know about game style. Who he reminds me actually is Steph Curry a little bit because he is so comfortable in his own skin and he lives this life that could be chaotic but he's so at ease. You know, he's got this great family and loves playing, loves his life and he's just cool, like Steph.